The prevalence of heart failure (HF) is increasing, representing a major cause of death and disability, and a growing financial burden on healthcare systems. Despite the use of effective treatments with both drugs and devices, mortality remains high. There is therefore a need for new and effective therapeutic agents. Ivabradine is a specific sinus node inhibiting agent that was approved in 2005 by the European Medicines Agency, alone or in combination with a beta-blocker. Trimetazidine is a cytoprotective, anti-ischaemic agent established in the treatment of angina pectoris. In the 2012 European Society of Cardiology (ESC) guidelines for diagnosis and treatment of HF, ivabradine was recommended in symptomatic HF patients who are in sinus rhythm with left ventricular ejection fraction ≤35 % and heart rate higher than 70 beats per minute, despite optimal medical therapy, including maximally tolerated dose of beta-blocker. The role of trimetazidine in this setting was not mentioned. In the 2016 ESC guidelines, recommendations for ivabradine are unchanged but trimetazidine is included for the treatment of angina pectoris with HF. 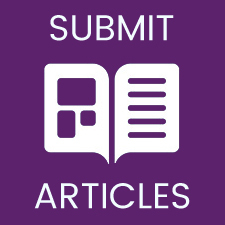 This article discusses the need for new therapeutic options in HF and reviews clinical evidence in support of these two therapeutic options. Medical Media Communications (Scientific) Ltd provided medical writing and editing support to the authors. The 2016 European Society of Cardiology (ESC) HF guidelines recommend ACEI and beta-blockers as first-line therapy in symptomatic patients with HFrEF.4 However, both registries and clinical reports underline that the treatment of HF patients is suboptimal much more than expected, and that the heart rate is increased despite beta-blocker therapy.7–12 The registry of 12,440 patients demonstrated heterogeneity in treatment strategies, due to the drug side effects and contraindications.7 A European registry13 reported that only 17 % of patients were receiving the optimal combination and recommended dose of diuretic, ACEI and beta-blockers. Results from a French registry on 50,000 HF patients14 also confirmed suboptimal treatment of HF, demonstrating that after the first month following hospitalisation for worsening HF, only 47 % received an ACEI, 54 % a beta-blocker, and 17 % MRAs. The I Brazilian Registry of Heart Failure (BREATHE)15, conducted in 57 hospitals in Brazil, revealed that 69 % of HF patients were receiving an ACEI or ARB, 60 % a beta-blocker, and 49 % MRAs. However, only 17 % were receiving all three drugs together. Therefore, a need to identify a novel pathways and strategies for HF treatment is obvious and clinically justified. This article reviews the clinical evidence and guidelines recommendations for the use of two novel therapies in HF: ivabradine and trimetazidine. The mechanism of ivabradine’s beneficial effect is based on heart rate reduction at rest and/or exercise, which prolongs diastolic perfusion time, improves coronary blood flow, and increases exercise capacity. In contrast to beta-blockers, ivabradine causes increase in stroke volume, which may have beneficial cardiac effects. In both preclinical and clinical studies, ivabradine exerted an anti-remodelling effect, improving left ventricle (LV) structures and functions.16 In patients with HF, ivabradine not only reduces heart rate but also improves heart rate variability. 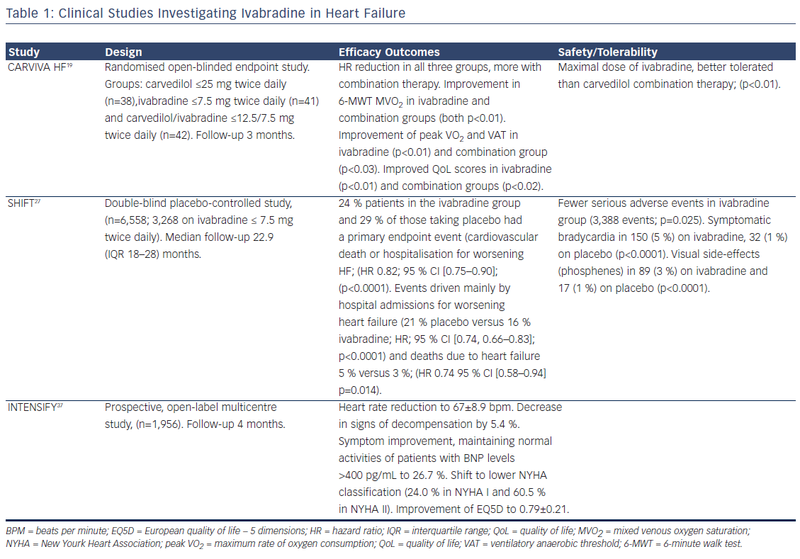 No significant bradycardia, ventricular arrhythmias or supraventricular arrhythmias were reported.17 The efficacy and safety of ivabradine in HF has been established by two pivotal clinical trials and an open-label study (see Table 1). The effect of the drug can be assessed regarding four clinical aspects: functional improvement and symptoms relief, amelioration of the uality of life (QoL), effects on rehospitalisation and mortality and safety profile in HF. Although there is a short-term improvement after each admission for acute HF, patients generally leave the hospital with a further decrease in cardiac function.23 This can directly and negatively influence renal function via a decrease in cardiac output, high venous pressure or vasodilatation. After an episode of acute HF, approximately 25 % require readmission within 30 days,24 and 50 % within 6 months.25 HF hospitalisations also significantly duce the QoL of patients with HF, most of whom are older adults. Every HF hospitalisation is a strong predictor for mortality,26 reinforcing the preventive interventions known to reduce HF hospitalisation and death. The majority of HF hospitalised patients will not see a cardiologist during the 3 months following discharge and therefore it is essential to adjust therapy, including ivabradine, before discharge. The 2012 guidelines did not include trimetazidine in HF treatment. The 2016 guidelines indicate that trimetazidine may be considered for the treatment of stable angina pectoris with symptomatic HFrEF, when angina persists despite treatment with a beta-blocker (or alternative), to relieve angina (effective anti-anginal treatment, safe in HF), class IIb, level of evidence A.4 This recommendation is based on the body of evidence suggesting that trimetazidine may improve NYHA functional capacity, exercise duration and LV function in patients with HFrEF. There is no recommendation for trimetazidine in the setting of HF alone. 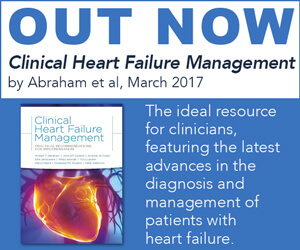 The treatment goals in patients with HF are to relieve heart failurerelated symptoms, prevent hospital admission and improve survival. Most recent therapeutic improvements are due to the use of pharmacological agents that modulate neuro-hormonal axes, ACEI, ARB, beta-blockers and MRAs. The impact of lowering heart rate on heart failure outcomes is well established and beta-blockers are recommended as first-line therapy in patients with HFrEF. Ivabradine offers further heart rate reduction and clinical and prognostic benefits in the patients on maximally tolerated dose of beta-blockers (or those intolerant to beta-blockers). Due to its unique mechanism of action, ivabradine is now considered a well-established drug in the treatment of chronic HF. Heart rate reduction caused by ivabradine prolongs diastolic perfusion time and increases coronary blood flow and exercise capacity. The clinical effects of ivabradine in HF can be summarised as effects on rehospitalisation QoL. The clinical indications for ivabradine include all patients with symptomatic HFrEF in sinus rhythm with LVEF ≤35 % who remain with heart rate above 70 bpm, despite optimal medical therapy including maximally tolerated dose of beta-blockers. In addition, ivabradine is also recommended for the treatment of symptomatic HFrEF and stable angina pectoris, in combination with an anti-anginal drug for patients intolerant to beta-blockers. Ivabradine has a good tolerability and safety profile. Trimetazidine acts directly at cardiac cell level by inhibition of oxidation of free fatty acids in ischaemic myocardium, offering metabolic modulation, as a different treatment option. Potential beneficial effects are the improvement of NYHA functional class, exercise tolerance, QoL, LVEF and cardiac volumes. In clinical practice, trimetazidine may be considered for the treatment of stable angina pectoris with symptomatic HFrEF, when angina persists despite treatment with a beta-blocker (or alternative), to relieve angina. Adverse effects associated with trimetazidine have been minor and mostly gastrointestinal, although the association between the long-term treatment with trimetazidine and Parkinson’s disease, gait disturbances and tremor need to be further investigated. Cook C, Cole G, Asaria P, et al. The annual global economic burden of heart failure. Int J Cardiol 2014;171:368–76. McMurray JJ, Adamopoulos S, Anker SD, et al. ESC guidelines for the diagnosis and treatment of acute and chronic heart failure 2012: The task force for the diagnosis and treatment of acute and chronic heart failure 2012 of the European Society of Cardiology. Developed in collaboration with the Heart Failure Association (HFA) of the ESC. Eur J Heart Fail 2012;14:803–69. Maggioni AP, Anker SD, Dahlstrom U, et al. Are hospitalized or ambulatory patients with heart failure treated in accordance with European Society of Cardiology guidelines? Evidence from 12,440 patients of the ESC Heart Failure Long-Term Registry. Eur J Heart Fail 2013;15:1173–84. Franke J, Wolter JS, Meme L, et al. Optimization of pharmacotherapy in chronic heart failure: is heart rate adequately addressed? Clin Res Cardiol 2013;102:23–31. Zugck C, Martinka P, Stoeckl G, et al. Heart rate control in chronic systolic heart failure patients in Germany: results of a nationwide survey. Eur Heart J 2013;34:(Suppl 1):P646. Sabbah HN, Stanley WC. Metabolic therapy for heart disease: impact of trimetazidine. Heart Fail Rev 2005;10:281–8. Russell SJ, Oliver M, Edmunds L, et al. Optimised beta blocker therapy in heart failure: is there space for additional heart rate control? Br J Cardiol 2012;19:21–3. Cowie MR, Davidson L. Clinical perspective: the importance of heart rate reduction in heart failure. Int J Clin Pract 2012;66:728–30. Komajda M, Follath F, Swedberg K, et al. The EuroHeart Failure Survey programme–a survey on the quality of care among patients with heart failure in Europe. Part 2: treatment. Eur Heart J 2003;24:464–74. Tuppin P, Cuerq A, Peretti C, et al. First hospitalization for heart failure in France in patient characteristics and 30-day follow-up. Arch Cardiovasc Dis 2013;106:570–85. BREATHE Investigators. Rationale and design. BREATHE registry—I Brazilian registry of heart failure. Arq Bras Cardiol 2013;100:390–4. Pereira-Barretto AC. Cardiac and hemodynamic benefits: mode of action of ivabradine in heart failure. AdvTher 2015;32:906–19. Böhm M, Borer JS, Camm J, et al. Twenty-four-hour heart rate lowering withivabradine in chronic heart failure: insights from the SHIFT holter substudy. Eur J Heart Fail 2015;17:518–26. Bagriy AE, Schukina EV, Samoilova OV, et al. Addition of ivabradine to β-blocker improves exercise capacity in systolic heart failure patients in a prospective, open-label study. Adv Ther 2015;32:108–19. Ekman I, Chassany O, Komajda M, et al. Heart rate reduction with ivabradine and health related quality of life in patients with chronic heart failure: results from the SHIFT study. Eur Heart J 2011;32:2395–404. Riccioni G, Masciocco L, Benvenuto A, et al. Ivabradine improves quality of life in subjects with chronic heart failure compared totreatment with beta-blockers: results of a multicentric observational APULIA study. Pharmacology 2013;92:276–80. Gheorghiade M, De LL, Fonarow GC, et al. Pathophysiologic targets in the early phase of acute heart failure syndromes. Am J Cardiol 2005;96:11G–7G. O’Connor CM, Miller AB, Blair JE, et al. Causes of death and rehospitalization in patients hospitalized with worsening heart failure and reduced left ventricular ejection fraction: results from Efficacy of Vasopressin Antagonism in Heart Failure Outcome Study with Tolvaptan (EVEREST) program. Am Heart J 2010;159:841–9. Setoguchi S, Stevenson LW, Schneeweiss S. Repeated hospitalizationspredict mortality in the community population with heart failure. Am Heart J 2007;154:260–6. Swedberg K, Komajda M, Bohm M, et al. 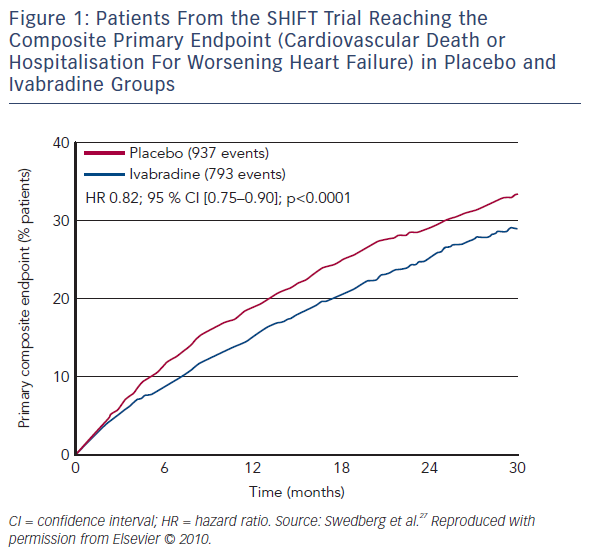 Ivabradine and outcomes in chronic heart failure (SHIFT): a randomised placebo-controlled study. Lancet 2010;376:875–85. Swedberg K, Komajda M, Böhm M, et al. Effects on outcomes of heart rate reduction by ivabradine in patients with congestive heart failure: is there an influence of betablocker dose? 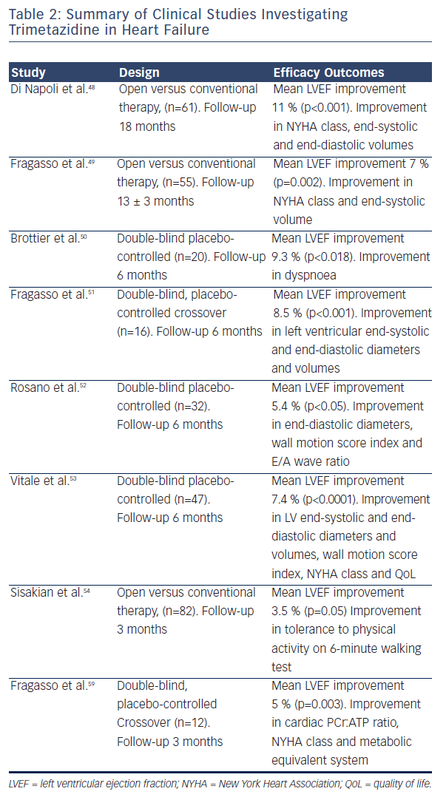 Findings from the SHIFT (Systolic Heart failure treatment with the If inhibitor ivabradine Trial) study. J Am Coll Cardiol 2012;59:1938–45. Bocchi EA, Bohm M, Borer JS, et al. Effect of combining ivabradine and beta-blockers: focus on the use of carvedilol in the SHIFT population. Cardiology 2015;131:218–24. Komajda M, Bohm M, Borer J, et al. Influence of background treatment with mineralocorticoid receptor antagonists on ivabradine’s effects in patients with chronic heart failure. Eur J Heart Fail 2013;15:79–84. Komajda M, Bohm M, Borer JS, et al. Efficacy and safety of ivabradine in patients with chronic systolic heart failure according to blood pressure level in SHIFT. Eur J Heart Fail 2014;16:810–6. Komajda M, Tavazzi L, Francq BG, et al. Efficacy and safety of ivabradine in patients with chronic systolic heart failure anddiabetes: an analysis from the SHIFT trial. Eur J Heart Fail 2015;17:1294–301. Tavazzi L, Swedberg K, Komajda M, et al. Clinical profiles and outcomes in patients with chronic heart failure and chronic obstructive pulmonary disease: an efficacy and safety analysis of SHIFT study. Int J Cardiol 2013;170:182–8. Bohm M, Robertson M, Ford I, et al. Influence of cardiovascular and noncardiovascular co-morbidities on outcomes and treatmenteffect of heart rate reduction with ivabradine in stable heart failure (from the SHIFT trial). Am J Cardiol 2015;116:1890–7. Tavazzi L, Swedberg K, Komajda M, et al. Efficacy and safety of ivabradine in chronic heart failure across the age spectrum: insights from the SHIFT study. Eur J Heart Fail 2013;15:1296–303. Fox K, Ford I, BEAUTIFUL Investigators, et al. Ivabradine for patients with stable coronary artery disease and leftventricular systolic dysfunction (BEAUTIFUL): a randomised, double-blind, placebo-controlled trial. Lancet 2008;372:807–16. Schmidt-Schweda S, Holubarsch C. First clinical trial with etomoxir in patients with chronic congestive heart failure. Clin Sci (Lond) 2000;99:27–35. Rupp H, Zarain-Herzberg A, Maisch B. The use of partial fatty acid oxidation inhibitors for metabolic therapy of angina pectoris and heart failure. Herz 2002;27:621–36. Hayashida W, van Eyll C, Rousseau MF, et al. Effects of ranolazine on left ventricular regional diastolic function in patients with ischemic heart disease, Cardiovasc Drugs Ther 1994;8:741–7. Kantor PF, Lucien A, Kozak R, et al. The antianginal drug trimetazidine shifts cardiac energy metabolism from fatty acid oxidation to glucose oxidation by inhibiting mitochondrial long-chain 3-ketoacyl coenzyme A thiolase. Circ Res 2000;86:580–8. Ciapponi A, Pizarro R, Harrison J. Trimetazidine for stable angina. Cochrane Database Syst Rev 2005;4:CD003614. Hu B, Li W, Xu T, et al. Evaluation of trimetazidine in angina pectoris by echocardiography and radionuclide angiography: a meta-analysis of randomized, controlled trials. Clin Cardiol 2011;34:395–400. Danchin N, Marzilli M, Parkhomenko A, et al. Efficacy comparison of trimetazidine with therapeutic alternatives in stable angina pectoris: a network meta-analysis. Cardiology 2011;120:59–72. Fragasso G, Palloshi A, Puccetti P, et al. A randomized clinical trial of trimetazidine, a partial free fatty acid oxidation inhibitor, in patients with heart failure. J Am Coll Cardiol 2006;48:992–8. Brottier L, Barat JL, Combe C, et al. Therapeutic value of a cardioprotective agent in patients with severe ischaemic cardiomyopathy. Eur Heart J 1990;11:207–12. Fragasso G, Piatti PM, Monti L, et al. Short- and long-term beneficial effects of partial free fatty acid inhibition in diabetic patients with ischemic dilated cardiomyopathy, Am Heart J 2003;146:1–8. Vitale C, Wajngaten M, Sposato B, et al. 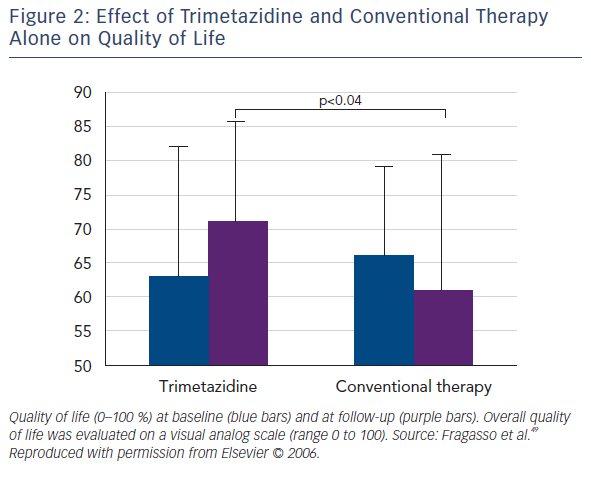 Trimetazidine improves left ventricular function and quality of life in elderly patients with coronary artery disease. Eur Heart J 2004;25:1814–21. Sisakian H, Torgomyan A, Barkhudaryan A. The effect of trimetazidine on left ventricular systolic function and physical tolerance in patients with ischaemic cardiomyopathy, Acta Cardiol 2007;62:493–499. Cohn JN. New therapeutic strategies for heart failure: left ventricular remodeling as a target. J Card Fail 2004;10:S200–1. Di Napoli P, Di Giovanni P, Gaeta MA, et al. Beneficial effects of trimetazidine treatment on exercise tolerance and B-type natriuretic peptide and troponin T plasma levels in patients with stable ischemic cardiomyopathy. Am Heart J 2007;154:602 e1–5. Fragasso G, Piatti Md PM, Monti L, et al. Short- and longterm beneficial effects of trimetazidine in patients with diabetes and ischemic cardiomyopathy. Am Heart J 2003;146:E18. Yamakawa H, Takeuchi M, Takaoka H, et al. Negative chronotropic effect of beta-blockade therapy reduces myocardial oxygen expenditure for nonmechanical work. Circulation 1996;94:340–5. Fragasso A, Salerno G, Lattuada A, et al. Effect of partial inhibition of fatty acid oxidation by trimetazidine on whole body energy metabolism in patients with chronic heart failure. Heart 2011;97:1495–500. Belardinelli R, Solenghi M, Volpe L, Purcaro A. Trimetazidine improves endothelial dysfunction in chronic heart failure: an antioxidant effect. Eur Heart J 2007;28:1102–8. Zhao P, Zhang J, Yin XG, et al. The effect of trimetazidine on cardiac function in diabetic patients with idiopathic dilated cardiomyopathy. Life Sci 2013;92:633–8. Winter JL, Castro PF, Quintana JC, et al. Effects of trimetazidine in nonischemic heart failure: a randomized study. J Card Fail 2014;20:149–54. Thrainsdottir IS, von Bibra H, Malmberg K, et al. Effects of trimetazidine on left ventricular function in patients with type 2 diabetes and heart failure. J Cardiovasc Pharmacol 2004;44:101–8. Gao D, Ning N, Niu X, et al. 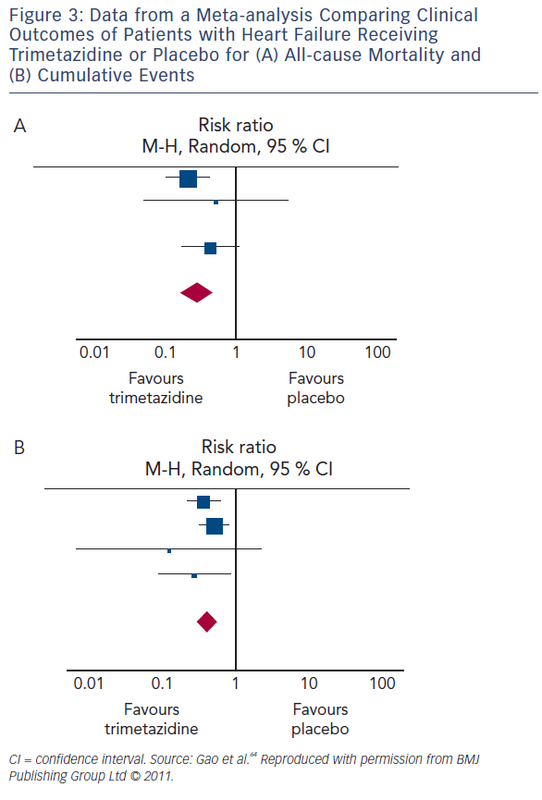 Trimetazidine: a meta-analysis of randomised controlled trials in heart failure. Heart 2011;97:278–86. Zhang L, Lu Y, Jiang H, et al. Additional use of trimetazidine in patients with chronic heart failure: a meta-analysis. 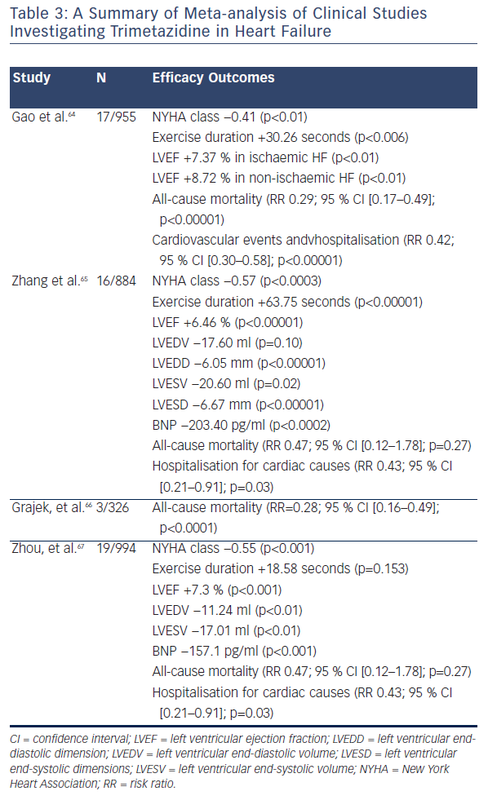 J Am Coll Cardiol 2012;59:913–22. Grajek S, Michalak M. The effect of trimetazidine added to pharmacological treatment on all-cause mortality in patients with systolic heart failure. Cardiology 2015;131:22–9. Marti Masso JF, Marti I, Carrera N, et al. Trimetazidine induces parkinsonism, gait disorders and tremor. Therapie 2005;60:419–22. Masmoudi K, Masson H, Gras V, et al. Extrapyramidal adverse drug reactions associated with trimetazidine: a series of 21 cases. Fundam Clin Pharmacol 2012;26: 198–203. Fragasso G, Lopaschuk GD, Seferovic PM, et al. Rationale and benefits of trimetazidine by acting on cardiac metabolism in heart failure. Int J Cardiol 2016;203:909–15.